To most club members turf problems are simply fixed with a bag or bottle. Looking after a bowling green and presenting it in fantastic condition seems like the easiest thing in the world. To the extent that they are sometimes incredulous when you try to explain the difficulties of working with nature and the infinite number of variables you, the greenkeeper must deal with every day. The least supportive and least understanding types typically view the green in a very literal sense. If it’s bumpy, then it should be easy enough to level it out with some sand or perhaps with a heavy roller. If it’s playing slow, then it’s obvious isn’t it? Just set the mower as low as it can go and scalp the grass down to speed it up! Little do these unsympathetic and impatient members know, that many greens are so far away from the condition they need to be in agronomically that any of these great ideas being applied now, will just perpetuate the problems. And on greens where the transition to a healthy, living green eco-system is already underway, then these daft schemes can set them back years and make it look like the project wasn’t working in the first place. 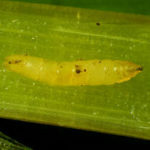 Which brings us nicely around to learning about some of the more natural problems we might well encounter on the green. The problems we face can be broken down into these 4 sub groups to make it easier to classify and deal with them. 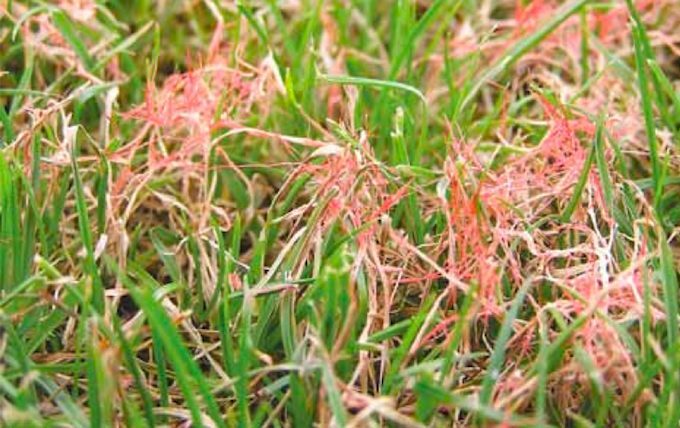 Pests are living organisms that while going about their normal daily business might cause physical injury to our grass plants or turf. 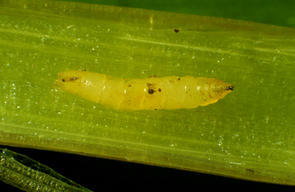 Pests then, are usually smaller creatures such as leatherjackets (Crane Fly Larvae), worms or Chafer Grubs (Chafer Beetle Larvae) for example. Although badgers, foxes and birds cause damage to turf, this is usually as a result of an insect pest being abundant in the soil/turf. 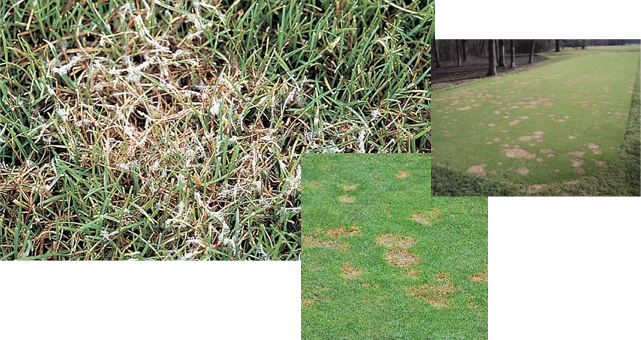 Turf diseases are caused by fungal pathogens in the soil or air that actively cause injury and/or death to individual plants directly. You will know from reading Bowls Central articles that there are also a great many beneficial fungi in the soil and in fact that the fine perennial grasses rely on symbiotic relationships with these. 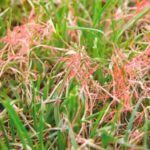 This means that dealing with turf disease is not as simple as it first appears. 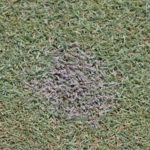 Common turf diseases include Fusarium, Anthracnose, Red Thread and Dollar Spot. The incidence of these varies with the soil and other environmental conditions and the season. Contrary to some of the popular gardening literature you might read, weed isn’t a scientific classification that differentiates these plants from others. A weed is simply a plant of any type that ends up in the wrong place. In this respect, grasses can also be termed weeds in some cases. There are so many common weeds that occur on bowling greens that it would be difficult to list them all here. Dandelion (Taraxacum officionale), daisy (Bellis perennis), clovers (Trifolium spp.) 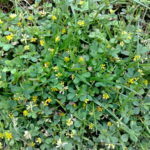 and pearlwort (Sagina procumbens) are some of the more troublesome ones. However, in a fine perennial turf, Annual Meadowgrass (Poa annua) is described as a weed by many greenkeepers. 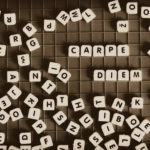 The spp. 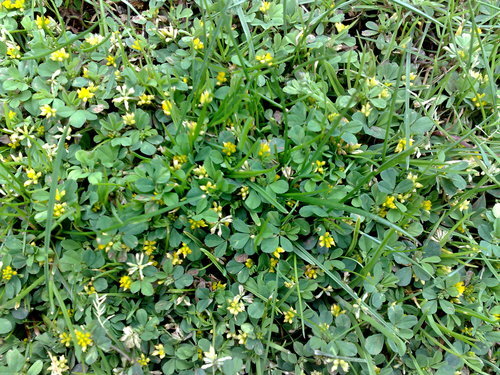 after Trifolium above indicates that I am referring to various species’ (plural) of clover (or more correctly, of the Genus Trifolium) and not one specific species such as Trifolium repens (white clover) or Trifolium dubium (yellow suckling clover). Tri-meaning three of course, as clovers have trifoliate leaves (folium), unless your luck’s in and you find one with a quatrefoiled leaf!. Once you get the hang of it you can sometimes guess the likely attributes of the plant, disease or pest in question…sometimes!! 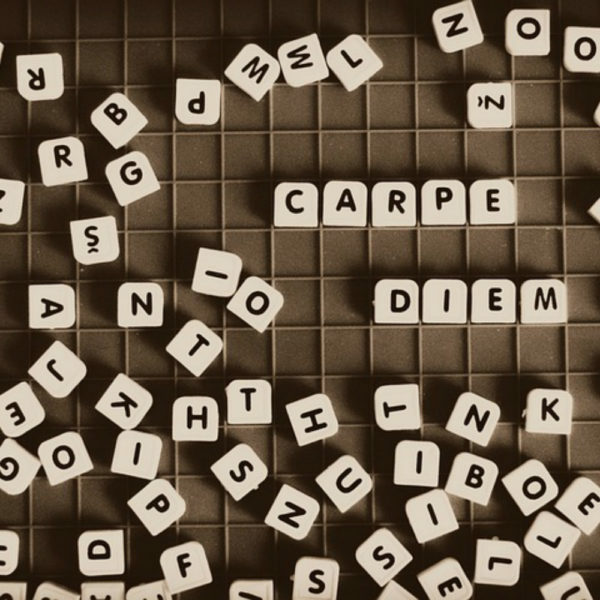 Academy Members get to speak Latin too…join us and join the fun! 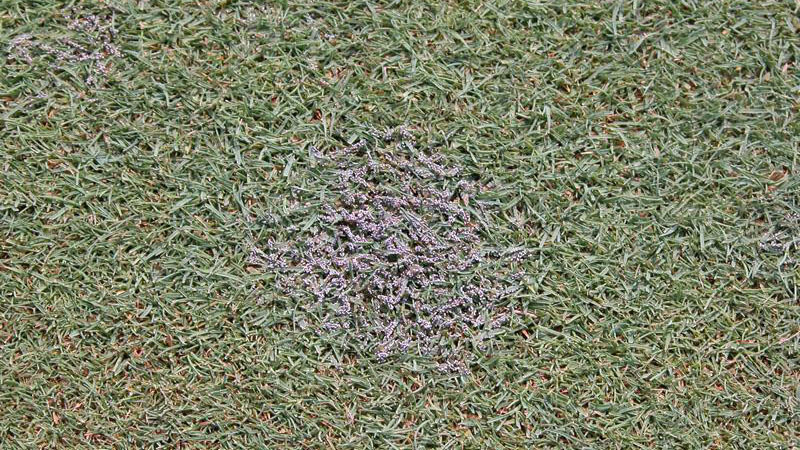 This term refers to problems we encounter where injury to plants or turf is inflicted indirectly by an organism. Disorders include Localised Dry Patch, Algal slime and Fairy Rings. For example, although the slime in this photo isn’t causing injury to the plants, it is unsightly and is disrupting the playability of the surface. However, it is also a sign (symptom) of other underlying problems such as acidic soil, anaerobic conditions and/or compaction/poor drainage. 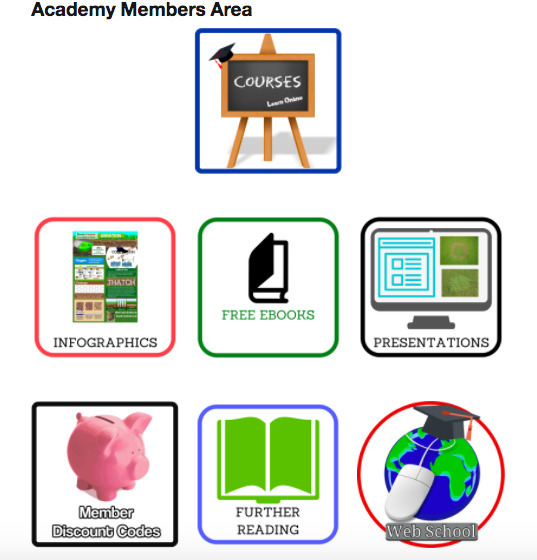 With a bit of help and study, you can easily learn to identify all of the common and some of the less common problems encountered on the bowling green. Armed with this knowledge you can start to eradicate, not only the immediate emergency, but also learn how to work on the underlying cause of common diseases, pests, weeds and disorders. The students undertaking the Introduction to Greenkeeping Course in the Bowls central Academy are doing just that right now. Join us today to get to grips with your bowling green’s performance once and for all. Fix your bowling green step1.